Do you want to sit on a cactus??? NO? You may change your mind after this funny DIY! 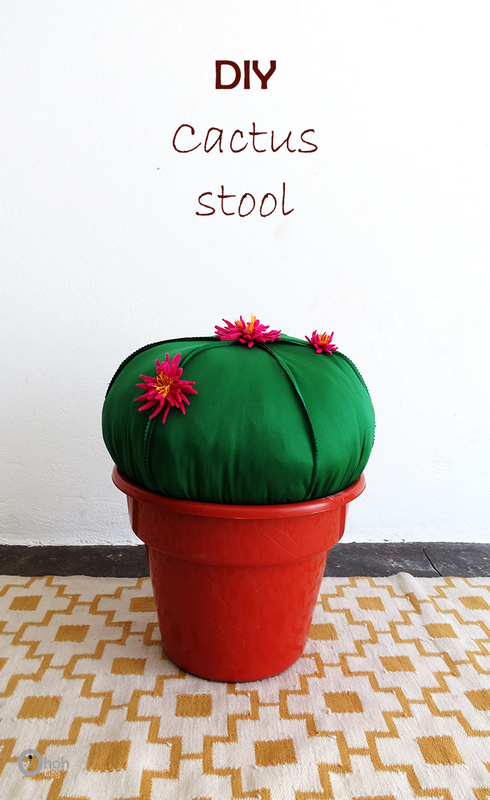 Some makes mushrooms seat…but it’s been more than 7 years that I’m living in the middle of Mexican desert so I made a cactus stool! 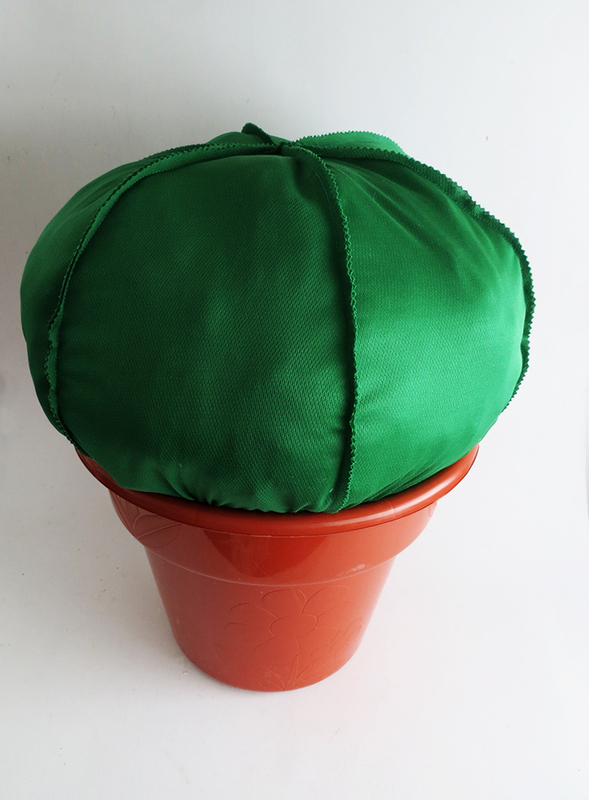 You gonna need green fabric, a plastic planter, cushion foam, a sewing machine, felt and embroidery thread. 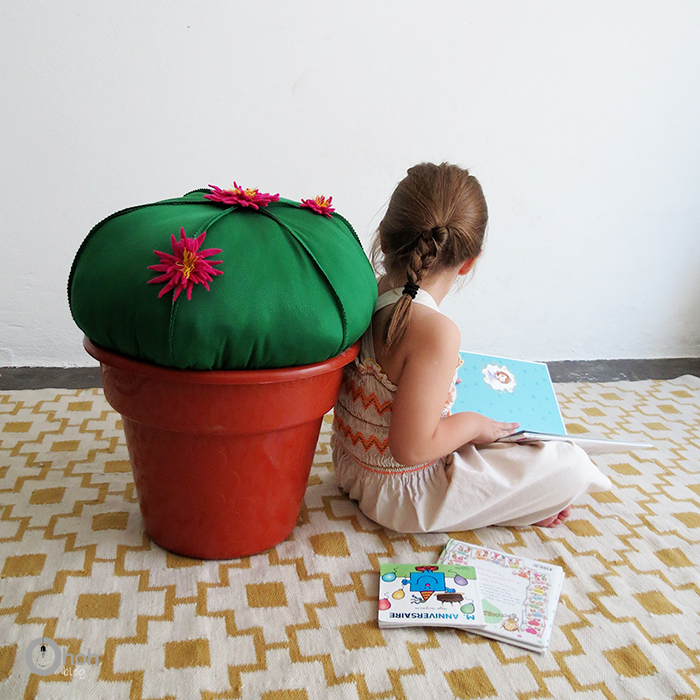 You need to make a BIG cushion who’s gonna fit into the planter. 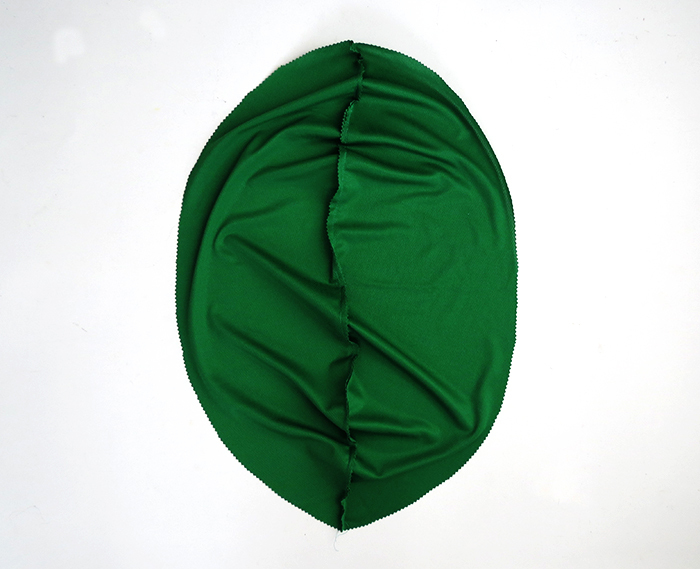 I used a plastic planter which dimensions are 13′ high and 15′ diameter. 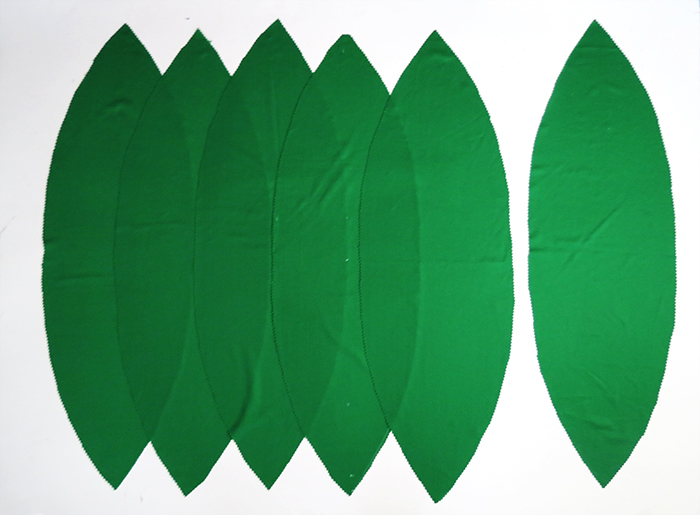 You cut six pieces of fabric with a leaf shape. I cut the fabric edges with zigzag scissors and, as the fabric doesn’t fray, I leave them as it. Here are de dimensions I used to cut the fabric pieces, dimensions are calculated to fit into the 15’/13′ planter. 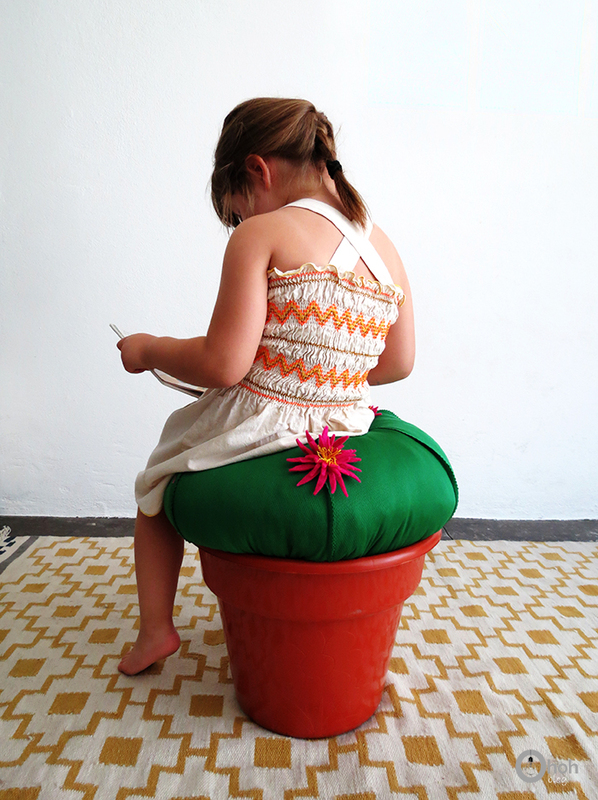 You can get a smaller planter size if you want to make a kid stool, but you will have to reduce the fabric size. 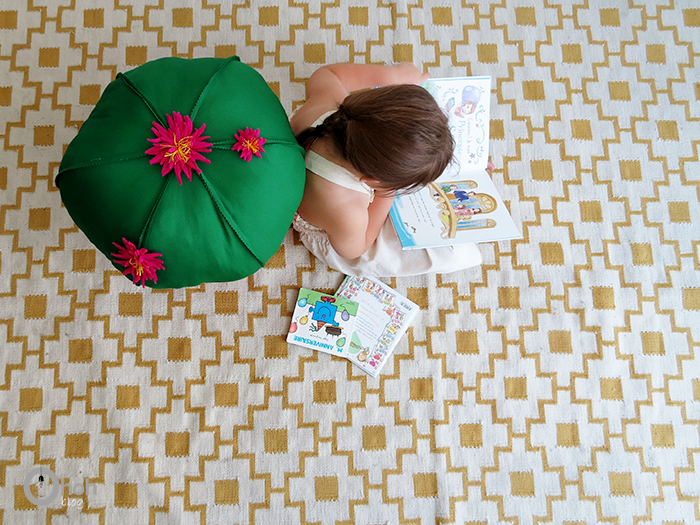 Sew the leaf pieces together, one edge with an other to make a big cushion. Sew the last seam until the middle and leave the top part open. 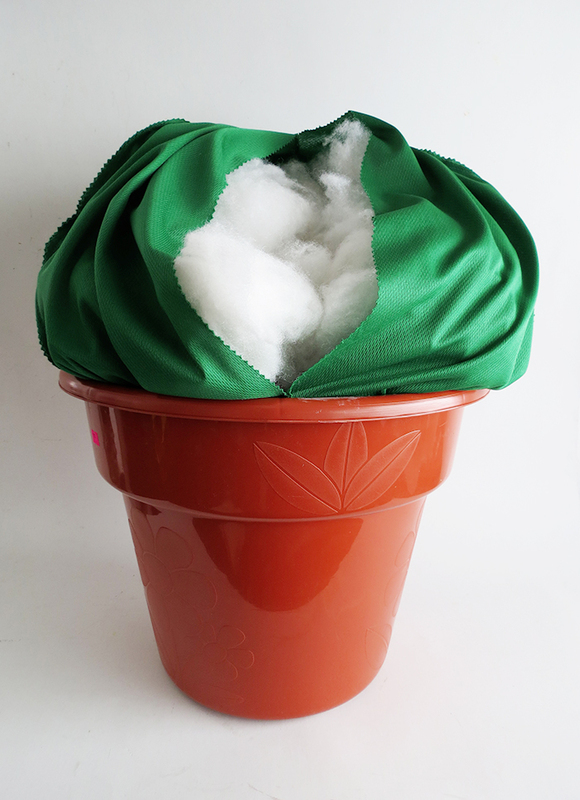 Put the empty cushion into the planter, the no sew part on top. Start filling with the foam. 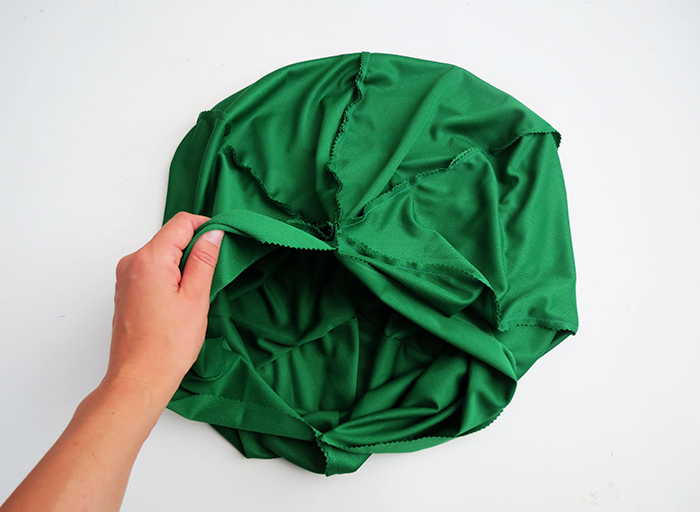 As I did for the Tassel pouf, I use scrap fabric to fill the bottom part of the Cactus. It’s cheaper and heavier than the foam. Put enough foam if you don’t want to stay stuck in the planter when you seat on it! Close the opening with a few hand stitches. 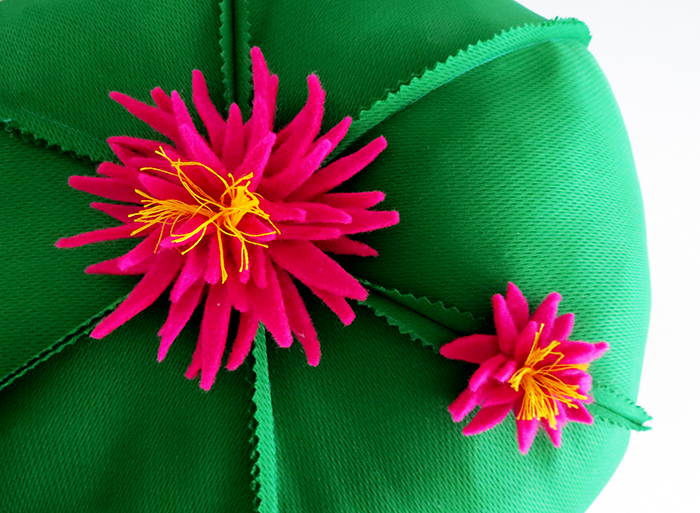 Make some felt flowers and sew them on it. That’s is! Easy and funny! Now you can sit on your cactus! If you wonder how to make a stool with a paint bucket….the answer is just here! I forgot to take pictures of the flower process, sorry! Cut 3 felt circles, one big, one medium and one small. Cut a star shape in each circle. Place them on top of each other and sew the center with embroidery thread. Knot the threads together to make flower center. I love the idea! Nice, thanks for sharing. 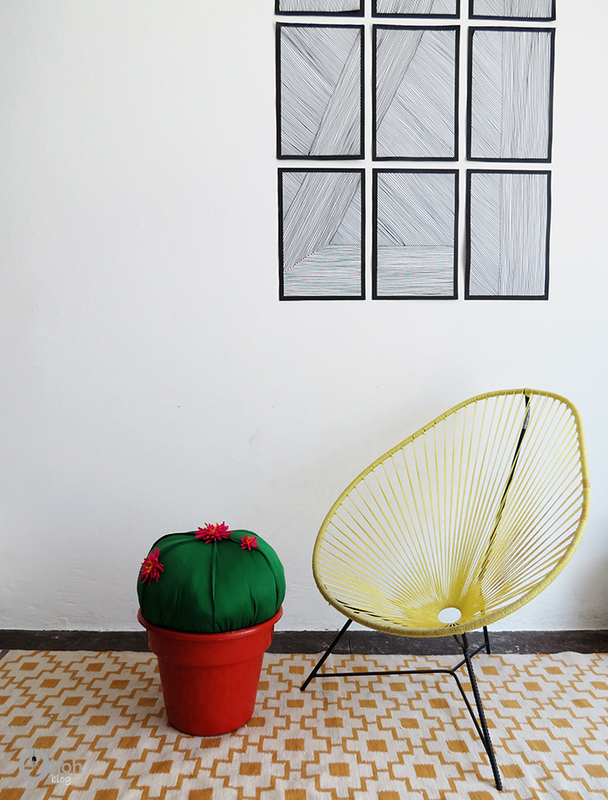 Loving cacti at the moment and love this idea of a stool. Thanks Claire! Let me know if you decide to make it!